Vedic Spa features Anokha suite of products developed by the renowned Dr. Nina Naidu, a registered plastic surgeon in New York. 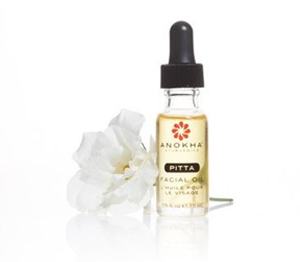 Anokha products are derived from active botanicals native to South Asia, complimented by select modern ingredients. All products are free of parabens, sulfates, petrolatum and artificial colors. Products are available for purchase at the spa. The Almond Cleansing Milk, designed for those with normal to dry skin, combines the cleansing and soothing properties of milk with almond, which gently cleanses while hydrating the skin. The Amla Skin Brightening Lotion is a light but truly hydrating lotion which combines amla fruit with extracts of daisy, mango seed butter, licorice root, and hibiscus to gently brighten the skin while reducing uneven skin tone. 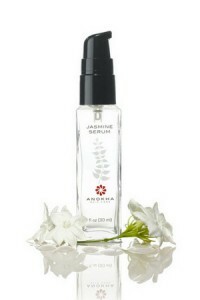 This gentle, creamy cleanser effectively brightens the skin and evens tone. Black tea ferment is an antioxidant which helps to defend against free radicals while softening and brightening the skin. Grapeseed oil moisturizes the skin while providing anti-inflammatory and antioxidant benefits. This serum is a light, fragrant moisturizer which evokes the South Asian tradition of natural oils used to nourish the skin after cleansing. Almond, jasmine, and sandalwood oils have been combined to condition and hydrate the skin without clogging pores. Hyaluronic acid provides an extra boost of moisture. This unique toner combines water distilled from the essence of rose petals with extracts of the lotus flower, burdock root, and gotu kola plant. Rosewater and burdock root soothe inflammation while providing an astringent effect, while lotus flower stimulates the circulation and gotu kola rejuvenates the skin. The oatmeal cleansing milk, designed for those with normal to oily skin, combines the cleansing and soothing properties of milk with oatmeal, which gently exfoliates while reducing excess sebum. This eye cream was created in response to requests by Dr. Naidu’s patients for a light cream which would brighten and clarify the orbital region. 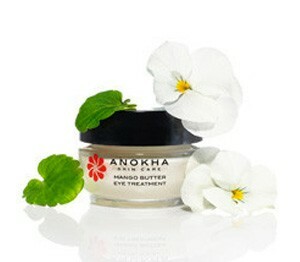 Mango seed butter hydrates the delicate skin around the eyes to minimize fine lines and wrinkles. Caffeine assists in alleviating puffness, while licorice root extract and ashwagandha help to minimize dark circles. Powerful antioxidants derived from the lotus flower, gotu kola, and soybean plants provide additional anti-aging benefits. 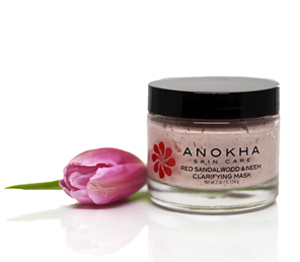 The Red Sandalwood and Neem Clarifying Masque combines several highly anti-septic ingredients: neem, turmeric, tulsi, red sandalwood, and rose petal powder. This detoxifying product can be used as needed for spot treatment, as a weekly masque, or in place of your daily cleanser. 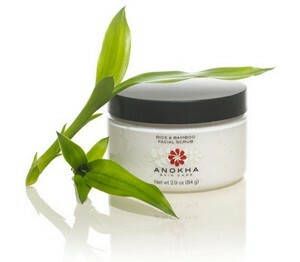 This scrub combines the exfoliating effects of rice and bamboo powder with the soothing properties of green tea. The result is skin that is noticeably smoother and pores that are cleaner and less noticeable. 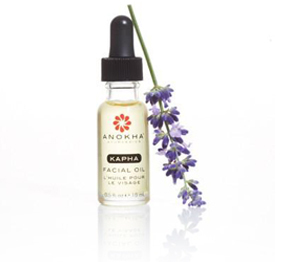 Our Kapha Facial Oil is a customized blend of lavender, clary sage, and bergamot essential oils which work deep within the skin to nourish and balance both your complexion and your spirit. Recommended for oily skin types. To use, apply 2-3 drops of oil to damp skin after cleansing and toning. Massage into skin until fully absorbed. For a smoother application, use 1-2 drops of water with the oil. Use twice daily. For external use only. Our Pitta Facial Oil is a customized blend of rose, sandalwood, ylang ylang, and jasmine essential oils which work deep within the skin to nourish and balance both your complexion and your spirit. Recommended for sensitive skin types and combination skin. To use, apply 2-3 drops of oil to damp skin after cleansing and toning. Massage into skin until fully absorbed. For a smoother application, use 1-2 drops of water with the oil. Use twice daily. For external use only. 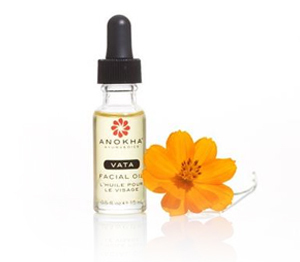 Our Vata Facial Oil is a customized blend of geranium, neroli, and lemon essential oils which work deep within the skin to nourish and balance both your complexion and your spirit. Recommended for drier skin types. To use, apply 2-3 drops of oil to damp skin after cleansing and toning. Massage into skin until fully absorbed. For a smoother application, use 1-2 drops of water with the oil. Use twice daily. For external use only.